Welcome to Day 2 of My Favorite Crafty Things 2018… all about dies! Over the next several days, I will be sharing my favorite crafty products of 2018. If you haven’t checked out THIS video, please do so – it explains how the series works. SIMON SAYS STAMP is offering $10 off any purchase of $75 or more! Now through 12/10/18, use the code “JENFAVES”. Shop HERE. ELLEN HUTSON is offering 10% off your order! Use the code “JensFaves18” through 12/15/18. Shop HERE. GINA K DESIGNS is offering 15% off your order! Use the code “JENNIFER15” through 12/17/18. Shop HERE. Also, spend $50 or more to get FREE US shipping and $75 or more to get the Deck the Halls Stamp Set FREE through 12/25/18. Shop HERE. CONCORD & 9TH is offering 10% off your order! Use the code “JMCRAFTY10” through 12/31/18. Shop HERE. Also, spend $60 or more and get the Winter Edge Die FREE through 12/8/18. Shop HERE. MY FAVORITE THINGS is offering 10% off your order! Use the code “JMFRIEND” through 12/10/18. Shop HERE. ALTENEW is offering 5% off your order. Use the code “JENNIFER2018” through 12/7/18. Shop HERE. Or, get FREE US shipping on orders over $100 with the code “USFREE” and $7 off international shipping on orders over $100 with code “SHIP70FF”. Shop HERE. PINKFRESH STUDIO is offering FREE US shipping or discounted international shipping with purchases of $30 or more. Use the code “FREESHIP30” through 12/9/18. Shop HERE. REVERSE CONFETTI is offering 10% off your order! Use the code “JMFAVE10” through 12/31/18. Shop HERE. PICKET FENCE STUDIO is offering 15% off your order! And… Orders over $60 receive A Bear Kind Of Winter Stamp Set ($17.99 value) FREE! And… FREE US shipping! Woot! Use the code “JEN15” through 12/24/18. Shop HERE. Today I am focusing on dies. Here are a few other dies that I thought you might like… several are must-haves! I am hoping my list of My Favorite Crafty Things could also make a great gift guide. Feel free to pass along this link or print the page and circle what you are interested in. Don’t forget the fun discount codes above! See you soon for more of My Favorite Crafty Things 2018. You can keep up to date on all the topics HERE… and for my lists from 2017, click HERE. Thanks for the give away! I think my favorite is the nesting ornaments set but I really need a set of good rectangles also. I think the sentiments dies will help keep the sentiments straight. My favourite is the little plants dies from spellbinders. Tim holtz mixed media die has so many options for it to be used on cards. I really enjoy this video series and it always make my list of things longer but that ok i like seeing what new out their and what can make my card making or paper crating projects go to the next level of uniqueness. I need to buy background and cover plate dies this year but I use all the word dies a lot along with all the nesting dies. Merry Christmas! I am crazy about the Hero Arts Rounded Rectangle Infinity Dies. They are high on my list!! Thank you for sharing your favorites and for the giveaway opportunity! 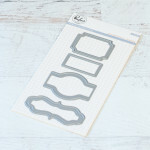 I love those Tim Holtz skeleton leaves – my wish list is getting longer and longer! So many dies to love and add to my wish list! My favorite is the Lil’ Inker Plaid die. Thank you for this great video. Im crazy about the Birch Prsss Grace layering dies. The one splurge, I allowed myself this year. Gorgeous and versatile. I love the look of the Sunny Studio Loopy Letters Snippets Dies. I will be getting these soon. I absolutely love these great videos! My favorite dies have to be the birch press layering dies. For me, it’s gotta be the Sunny Studio Sliding Window die. It’s a game changer for me! My favorite is the mandala die. It is so pretty and can be used in many different ways. Thanks for sharing your favorites!!! Lawn Fawn quilted backdrop die is my favorite!! Simon Says Stamp ROUNDED ALPHABET is my favorite out of the bunch. My favorite dies are the fabulous phrases and skeleton leaves. I’ve learned so much from you. I came across one of your you tube videos in the beginning of summer this year and got hooked! Some card missteps here and there, but overall have been successful. Your alcohol ink ornaments where a hit…awesome Christmas gifts! I love the Hero Arts bold confetti background die. Definitely would be Lawn Fawn Pivot Pop Up Die. my favorite die would be the Simon Says Stamp Sentiment Label Dies. I have trouble with my sentiments being crooked and this would be a game changer. My favorite die (that I wish I had) are those sentiment strips. They look like they’d make sentiments so much easier to do. I love the Birch Press Grace layering dies. I don’t own any currently, but they are so beautiful when you get to layer them in so many different ways! I have some new ones to add to my wishlist, now! But I have the Lawnfawn Quilded Backdrop die and LOVE it!